Did you hate having to scrape snow off your car back in your single housing apartment? 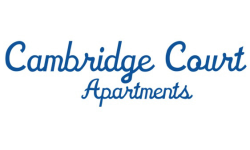 Well, welcome to the good life at Cambridge Court apartments - with our underground parking your days of scraping are finished! With dishwashers, large walk-in closets, and excellent community amenities, Cambridge Court is ideal married student housing at BYU. Browse our list of features on this page, see what's available and request more information to start customizing your first years of married life today.